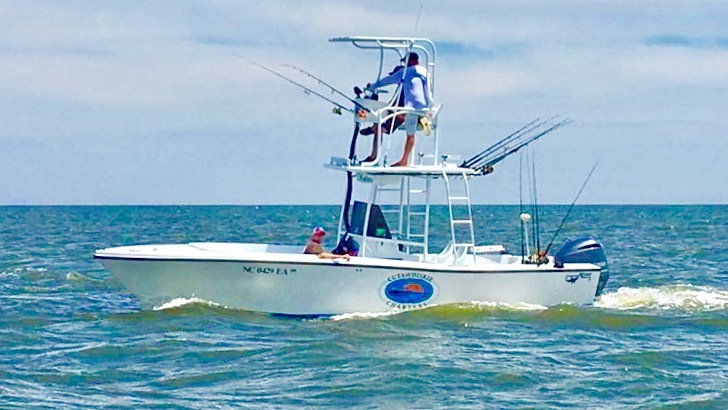 Captain Clay will make sure you have the best opportunity to catch fish, and are comfortable onboard the vessel. The boat is equipped with a 200 hp engine, light tackle, top of the line Furuno GPS Navigation and Digital Imaging Fishfinder electronics. Let Captain Clay McPherson guide you to the hot spots near the Outer Banks of NC.